Comet 219573A (20 Series) Fixed Face and Post for Comet Industries Drive Clutch assemblies (3/4" bore). Comet 219573A (20 Series) Fixed Face and Post for Comet Industries 219559A and 219573A Drive Clutch assemblies (3/4" bore). This part is on the "engine side" of the assembly. 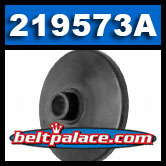 *Bronze Bushing Part# 200349A sold separately. For use with 3/4" Wide Symmetric Belts only. Comet Part #: 219573-A, Replaces: Comet 202064A. Genuine Comet 219573A in Black Oxide finish. Made in USA! Comet 219572A. Movable Face with Splined Hub. Comet 219572A. Movable Face with Splined Hub. Comet 20 Series Symmetric belt systems (3/4" Belts). 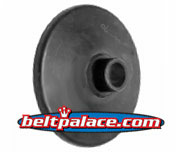 Replaces Movable face on part 203812A and 219559A clutch assemblies.